A combination of choirs marked the centenary of the First World War in grand style, by singing to the rafters under a magnificent roof in the first instalment of a new two-year arts project. 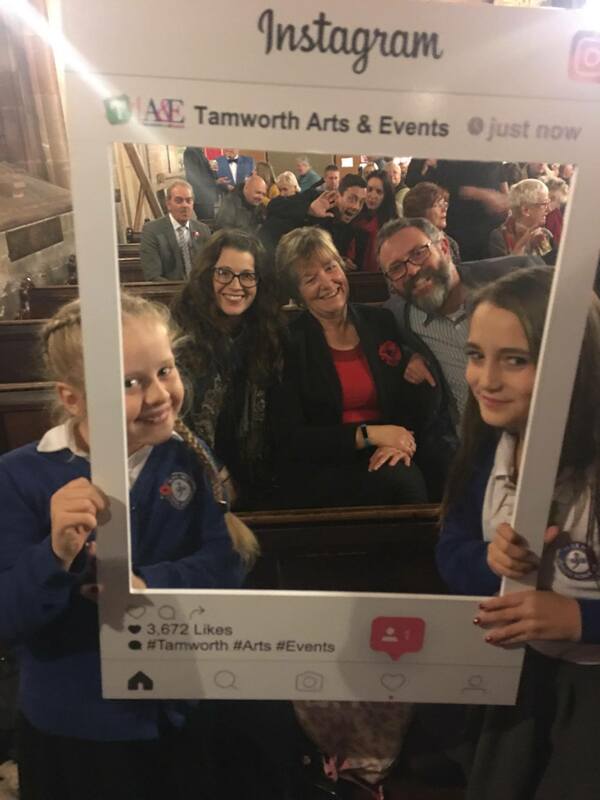 Hundreds of people enjoyed an evening of remembrance in Tamworth on Saturday 12 November which saw a variety of choirs from across the Staffordshire town come together to perform. 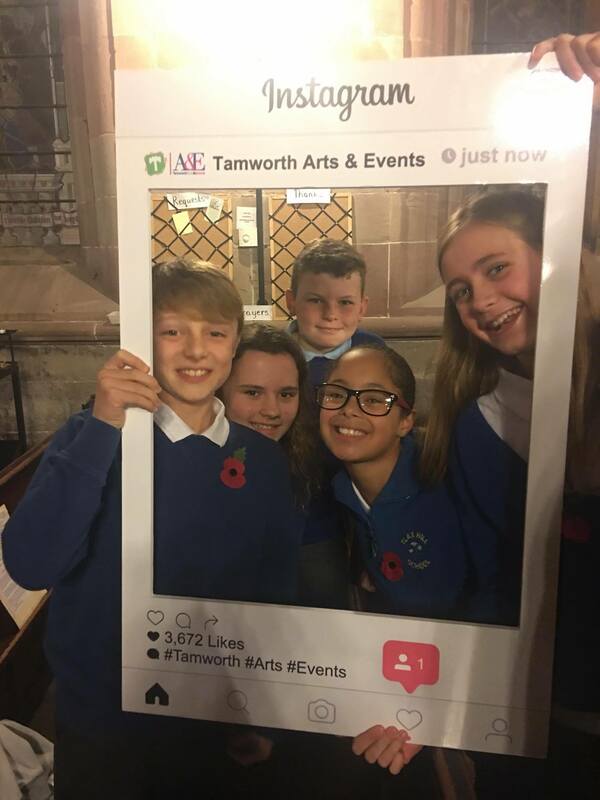 Organised by Tamworth Borough Council's Arts and Events team, We Will Remember saw 200 choir members performing in St Editha's Church in the centre of Tamworth alongside talented young singer Matilda Pratt and Staffordshire's first ever Poet Laureate Mal Dewhirst. 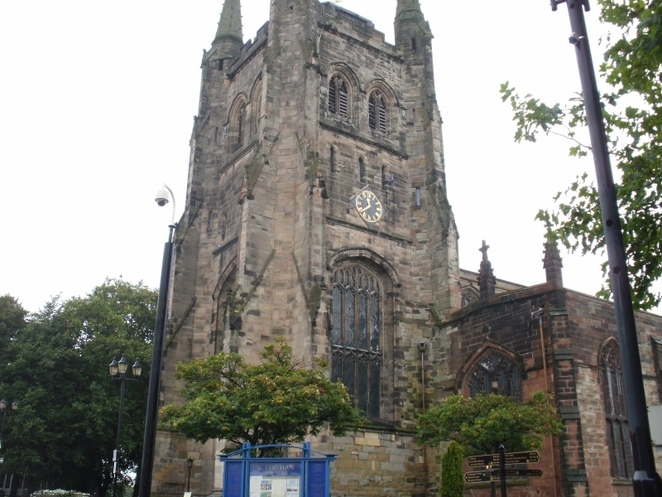 As well as commemorating the centenary of the First World War, the concert also raised £1,000 towards the repair of the clock on St Editha's Church tower. The three-hour concert, which started at 7.30pm, featured the premiere of a brand new piece of music called War Child, which was composed especially for the event by Sophy Smith and conducted by Dan Watson. War Child, which tells the struggles of evacuees, was performed byTamworth Voices, Tamworth Male Voice Choir, Tamworth Ladies Choir, Tamworth Arts Club and Flax Hill Junior School, who each also performed separate pieces throughout the concert, together with members of the William MacGregor Primary School Choir. The musical line-up featured a variety of songs from the past, including an excerpt from Oh What a Lovely War, Keep the Home Fires Burning, It's a Long Way to Tipperary, Pack up Your Troubles and Over the Rainbow. The encore of Do You Hear the People Sing? from Les Miserables saw the audience enthusiastically waving flags before greeting the song's end with rapturous applause and a standing ovation. A video of the War Child performance posted on the Tamworth Arts and Events Facebook page has been viewed thousands of times. We Will Remember is the first instalment in the new Arts in Unusual Spaces programme, which has been made possible by a £68,000 grant from Arts Council England, and will see art in all its forms popping up in unusual spaces across the town. 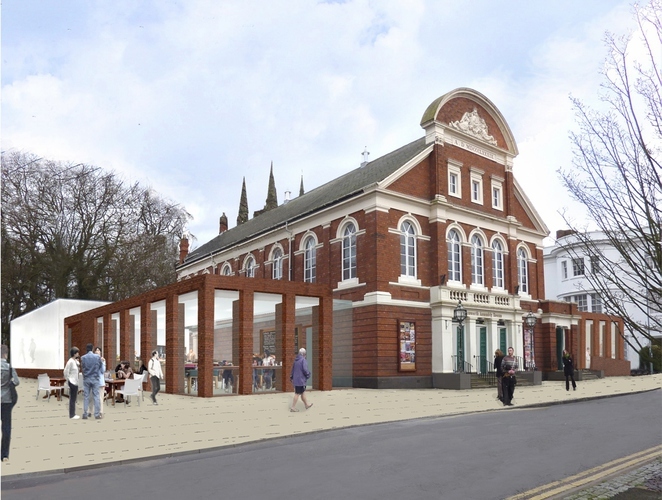 As well as creating new audiences, the project aims to provide Tamworth's performers with opportunities to take to the stage while Tamworth Assembly Rooms is closed for refurbishment. Linda Padgett from Tamworth Voices said: "It was a tremendous privilege to be able to take part with Tamworth Voices and the rest of the ensemble. It was a great night and I hope all attending enjoyed it. I hope we did Tamworth proud, it made me feel proud to be a part of it. It was wonderful." 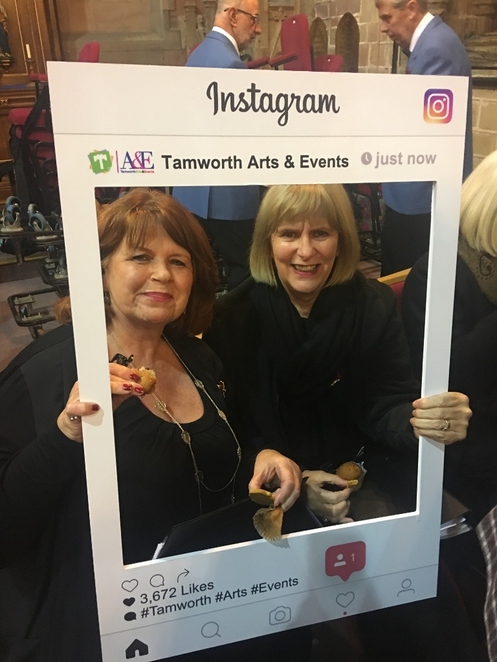 Councillor Joy Goodall, Tamworth Borough Council's Cabinet member for Environment and Culture, said: "I'd like to congratulate the Arts and Events team on creating a successful production on such a huge scale in St Editha's Church. Feedback has been fantastic, War Child was amazing and the concert also raised £1,000 towards the repair of the clock, which is a key feature of the town centre. This has been a great start to Arts in Unusual Spaces and I'm looking forward to seeing what's next."